As we celebrate the third anniversary of the Women's Writing Circle this November, I asked the women to write what the Circle means to them. So from now until the end of the month, this blog will feature the women in their own words. Here is Maureen Barry's story. 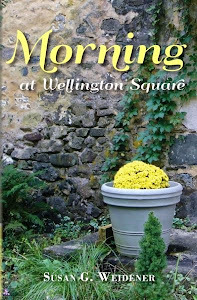 "Although I am not a regular visitor to the Women's Writing Circle because I travel, I have always stayed connected through my friendship with Susan. Three years ago, Susan shared with me her memoir, Again in a Heartbeat, and discussed her idea about forming a women’s writing group. Over the next year, I watched from afar as the Circle blossomed. 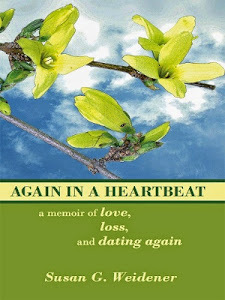 I use the image of a blossom because whenever Susan creates a book cover, it includes a flower. Her Circle is her main flower that she has nurtured from a seed. As a friend, I celebrate her success. I celebrate her bringing her dream full circle. Susan has touched other lives by bringing them together to share their stories. The Circle validates each woman’s voice and has created a strong community. The women have become friends to each other on different levels. What is more valuable than the art of listening? As a drop-in visitor, I delighted in sharing my childhood memories whenever I was in the area and could attend the Saturday Circle. Being a storyteller and a children’s author, I am at my best in front of an audience. I love the spoken word. As I read childhood memories in the Circle, I saw myself as a ten-year-old drinking beer with Grandpop. I realized that the loved ones from my past meant a great deal to me and I want my children and grandchildren to know these people, too. So I have pulled out my box of journals saved since 1970 with this thought: “Someday I will write my memoir.” The Circle has helped me understand memoir and its intricate parts and, more important, helped me see how my story may unfold. I, too, have come full circle because now the Women’s Writing Circle can offer me not only a place to read my stories but can serve as an editorial coach. So as I evolve with my memoir, I will have support along the way. My memoir resembles a sailing journey. Each part is a figure-eight knot; a weaving story with a secure underline. In the meantime, my world as a storyteller and children’s author continues to thrive. I perform stories for all ages." Maureen's books can be found on her website: http://www.maureenbarry.com/ and can be ordered through maureenbarry380 @hotmail.com or amazon.com. Maureen, I also, have stacks of journals from the 70's. My love of books was inspired by my mom, a primary school teacher, who read us children's stories when we were growing up. 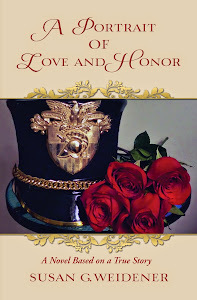 Maureen, I enjoyed your story and your thoughts about how memoir can help us preserve our life stories and connect with others, especially our family. And I love the idea of your story unfolding through the circle of women writers. Thank you for sharing your journey and best wishes with your writing. Whatever your plans or hectic schedule, I'm glad the Women's Writing Circle has found a place in your heart and in your future. We always benefit from your visits and your input. It sounds as though the Writing Circle has done for you what my writing group (sometimes as many as four, most often just two of us) has done for me. Support, insight, encouragement, backbone. My long time writing buddy Mary Gottschalk and I have persevered through 10 years of bi-weekly meetings about our now-published memoirs and our work-in-progress novels. Isn't it great?! Carol, Yes it is pretty great. Thank you for telling us about your group - a decade - amazing. Where did you meet? Coffeeshop? Home? Bookstore? And look what you have to show for your commitment and faith. Books! I hope the Women's Writing Circle lasts that long. But, yes, support, encouragement is what we so desperately need to continue this lonely "job" of trying to create. Most of the time we've met in our homes. We feel more comfortable going deep in our discussions when we don't feel as though we have to censor our comments for nearby ears. Thanks for sharing what the Circle means to you. 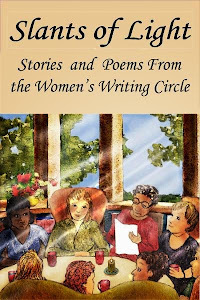 Thanks to the Women's Writing Circle a special bond has been created. It was wonderful seeing everyone today to celebrate our individual voices and how we've come together for the anthology. I hope you have a super week.